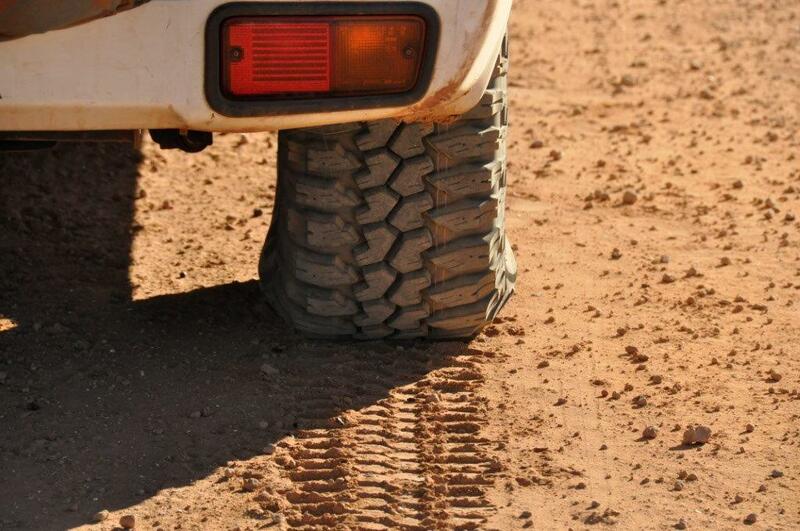 When you let air out of your tyres, you increase the surface area of rubber contacting the ground. This in turn gives you more traction, more shock absorbtion and you are less likely to get punctures. However, most of the gain is not via the width of the tyre bagging out, but the length.